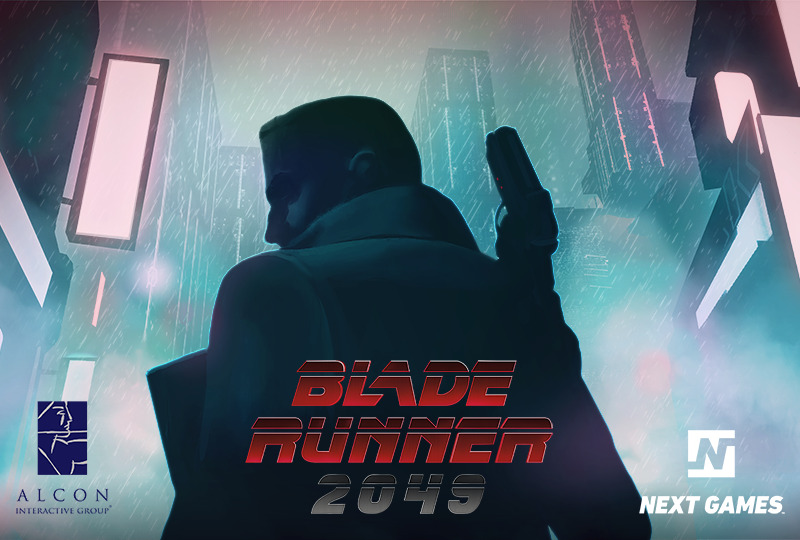 Los Angeles, CA & Helsinki, FINLAND – June 14, 2017 — Alcon Entertainment and the Finnish mobile game developer and publisher Next Games are partnering to create a mobile game for Blade Runner 2049, as announced today by Next Games CEO Teemu Huuhtanen. Blade Runner 2049 is an upcoming sci-fi thriller directed by Denis Villeneuve and executive produced by Ridley Scott. The story is by Hampton Fancher who co-wrote the screenplay with Michael Green. The sequel has Harrison Ford reprising his role as Rick Deckard, with Ryan Gosling, Ana de Armas, Sylvia Hoeks, Robin Wright, Mackenzie Davis, Carla Juri, Lennie James, Dave Bautista and Jared Leto also starring. The film is set for release in 3D, 2D and IMAX worldwide on October 6, 2017. Blade Runner 2049 is set thirty years after the events of the first film. A new blade runner, LAPD Officer K (Ryan Gosling), unearths a long-buried secret that has the potential to plunge what’s left of society into chaos. K’s discovery leads him on a quest to find Rick Deckard (Harrison Ford), a former LAPD blade runner who has been missing for thirty years. Co-founders and co-CEO’s Andrew Kosove and Broderick Johnson founded Alcon Entertainment in 1997 with partner Frederick W. Smith, the Founder, Chairman and Chief Executive Officer of FedEx. Warner Bros. distributes Alcon’s motion pictures via the companies’ long-term output distribution agreement. Alcon has financed and produced, and/or co-financed/produced 32 films to date, including My Dog Skip, the Academy Award nominated Best Picture The Blind Side, which earned Sandra Bullock a Best Actress Oscar; The Book of Eli, starring Denzel Washington and Gary Oldman; Insomnia, starring Al Pacino, Robin Williams, and Hilary Swank and directed by Chris Nolan; The Sisterhood of the Traveling Pants; P.S. I Love You starring Hilary Swank; the critically acclaimed dramatic thriller Prisoners directed by Denis Villeneuve starring Hugh Jackman, Jake Gyllenhaal, Viola Davis, Melissa Leo, Terrance Howard and Paul Dano; and the family hit Dolphin Tale 2, a sequel to its original starring Morgan Freeman, Harry Connick Jr., Ashley Judd and Kris Kristofferson. Alcon’s upcoming projects include the sequel to Blade Runner entitled Blade Runner 2049, currently in post-production with Ryan Gosling, Harrison Ford, Robin Wright, Ana de Armas, Sylvia Hoeks, Carla Juri, Mackenzie Davis, Barkhad Abdi, Lennie James, with Jared Leto and Dave Bautista for release Worldwide, except for China, on October 6, 2017. Denis Villeneuve (Arrival, Prisoners) is directing with Ridley Scott executive producing. Alcon’s road trip comedy Bastards starring Owen Wilson and Ed Helms is now in post-production and will be in theaters late 2017. Additionally, Alcon is co-financing and executive producing the contemporary war drama Horse Soldiers along with producers Jerry Bruckheimer (Pirates of the Caribbean franchise) and Black Label Media, currently in post-production for release in 2018. Alcon Television Group’s wholly owned hit series The Expanse, a critically acclaimed space thriller for Syfy Network, returned for a second season on February 1, 2017. Alcon Television Group’s upcoming projects include the highly anticipated HBO four-part documentary The Defiant Ones chronicling the divergent roots and unlikely partnership of Dr. Dre and Jimmy Iovine and will feature in-depth interviews with Bono, Eminem, Bruce Springsteen, Nas, Ice Cube, Gwen Stefani, Snoop Dogg and Trent Reznor for release in 2017. Alcon Television Group’s animated children’s series Pete the Cat based on the best-selling books, is a co-production currently in development with Amazon Studios to be broadcast on Amazon. Additionally, Alcon Television Group partnered with HBO and Alex Gibney to produce, Sinatra: All Or Nothing At All, an intimate documentary portrait of the singer, actor, father, husband, and philanthropist that attracted more viewers for HBO from the 50+ age bracket than ever before.